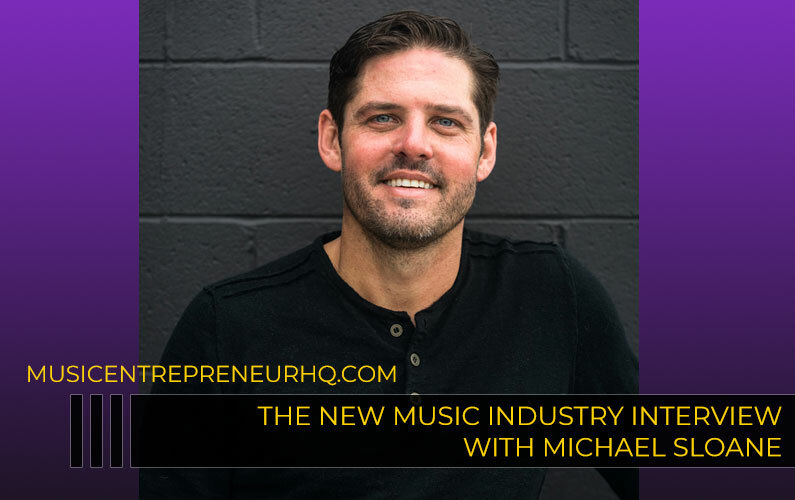 116 – Are There Any Alternatives to Music Entrepreneurship? 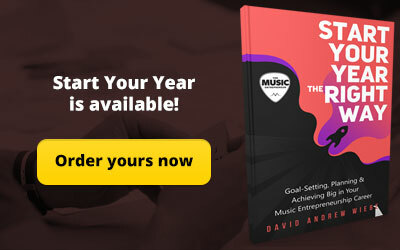 Do you feel like you could never be a music entrepreneur? Do you feel discouraged by this thought? Then this episode is for you. 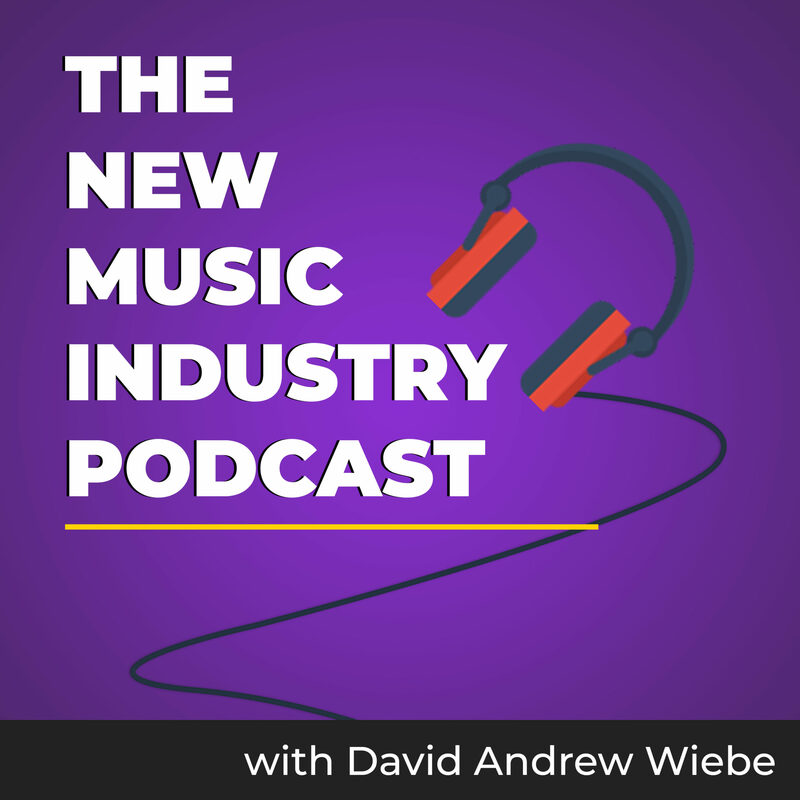 In this episode of The New Music Industry Podcast, we try on the idea that there are no alternatives or options, that music entrepreneurship is indeed all there is. 00:54 – Do you feel incapable? 01:43 – Is risk taking not for you? 02:28 – Are you too sensitive? 03:10 – Do you feel disempowered? 03:43 – Do you feel discouraged? 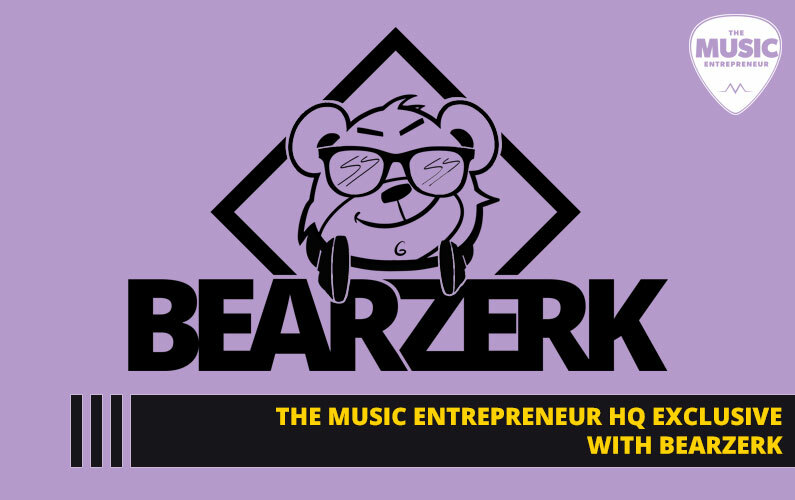 04:24 – Is music entrepreneurship all there is? You and I connected for a reason. It didn’t happen by accident. Maybe you just listen to the podcast every week and never leave a comment or email me. Perhaps you never look at any of my products or books. But you keep listening to the show and you get something out of it. I think that’s awesome. Keep listening. Even if I never hear from you, I know that you’re learning and growing, and that’s what matters to me. But while I have your attention, I want to share something with you. Recently, I had someone tell me that music entrepreneurship wasn’t for them. So, I decided to give some thought as to why they felt that way. I asked myself whether I was communicating this message properly. I wondered what it was that ultimately turned them off. Did they see themselves as incapable of pursuing this path? As far as I’m concerned, we are all on a path of growth. Some may tell you otherwise, but I don’t believe there’s a pinnacle or a summit to reach. I believe we should all adopt the mentality that we are lifelong learners, and that life is full of fresh and new discoveries every single day. If for some reason you don’t feel qualified or capable yet, don’t worry – just keep growing. I think we all feel like imposters sometimes. I’ve felt the same way. There are many tensions I feel in my personal and work life – but I’ve been learning to embrace them because I know that’s where the growth happens. So, it’s never too early to begin your journey. You’re not too young or too old, too small or too big, too white or too black… You aren’t too anything. You are perfectly capable exactly the way you are. Did they feel like risk taking wasn’t for them? I believe the best things in life are waiting for us on the other side of fear. I’ve experienced a lot of fear in my life. I even had a full-blown anxiety disorder in 2008. And, I’ve had to deal with iterations of the same anxiety in 2017, and even here in 2018. And, I’m coming clean here – I still have many fears surrounding the opposite gender. There are subjects I avoid or have trouble broaching with women. I find it incredibly difficult at times to express myself around them, even though I always enjoy their company. So, you shouldn’t feel like you need to be perfect to take risks. All you need to understand is that when you take a chance and put yourself out there, it’s rarely the giant you made it out to be, and there are rewards waiting for you on the other side of the fear. Did they feel like they were too sensitive to adopt a tougher mindset? Look, I’m about as sensitive as they come. Last night, I worked myself into a frenzy and ended up unleashing a violent rampage on my bed because of how things were going in my career and relationship life. No, things weren’t that bad. But I had made a mountain out of a molehill, as us humans tend to do. There’s no way you’re too sensitive to be a music entrepreneur. Being sensitive is a gift, as it allows you to tap into how others are feeling and what they’re thinking. It enables you to be sensitive and empathetic to the needs of others. I can’t imagine a person more qualified to run a business than someone who understands others. You’ve got the makings of an amazing leader. For several years now, I’ve been encouraging musicians to think of themselves as entrepreneurs as opposed to starving artists. I’m not sure if there is a more empowering message I could share with you. When you understand where the stereotype of a starving artist comes from, you soon realize it was typically based on people who were outright antisocial, had no interest in promoting their art, or even had a tendency towards self-sabotage. Does that describe you? Probably not. So, you should feel empowered – you are already doing way more than those artists were ever willing to do for themselves and their careers. Have you ever listened to an interview with a successful artist who shares what they had to go through to get to where they are, only to say to yourself, “I could never do that”? Be honest – I admit that I’ve said this to myself many times before. What you must understand is that your journey is uniquely yours. It won’t be like anyone else’s. Will there be obstacles and challenges ahead? Absolutely, and I’m always upfront about that. 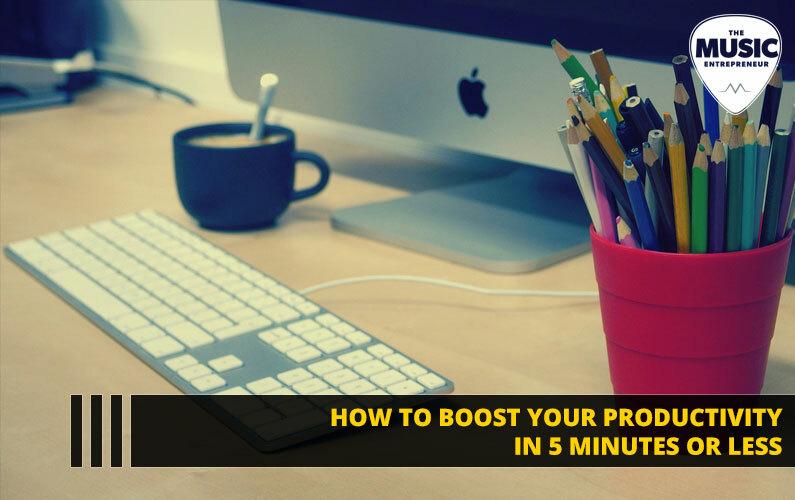 But if you’re passionate about what you do, you will find a way to move ahead with your projects and ideas. We will all feel discouraged at times. But we can’t keep comparing our bloopers with someone else’s highlight reels. We’re not being fair to ourselves when we do that. 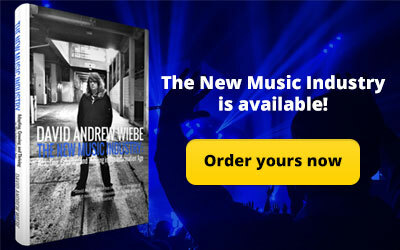 In closing, I want you to try on the idea that music entrepreneurship is all there is. Go ahead – try it on. See how it feels. If you’ve listened to the last couple of episodes of the podcast, then you should be familiar with this exercise already. It might sound extreme, but I want you to try it on anyway. 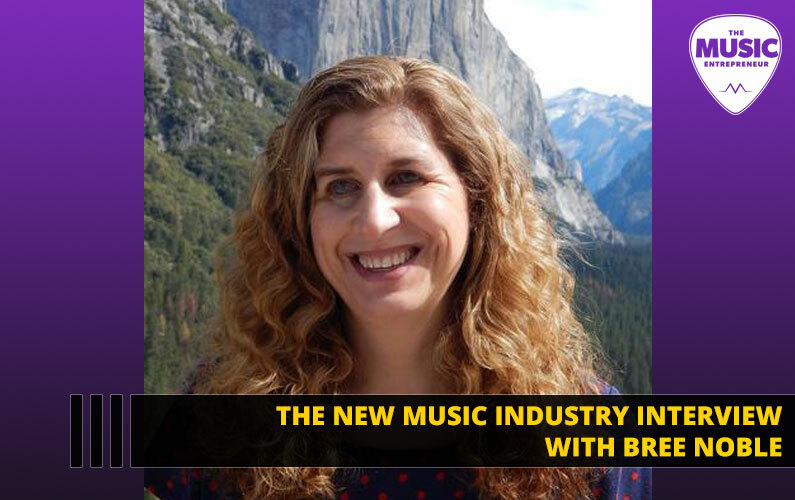 Let’s be perfectly honest here – the chances of you signing with a major label are incredibly slim. But, as I’ve shared before, independent success is available to all of us. We can all be successful on our own terms. 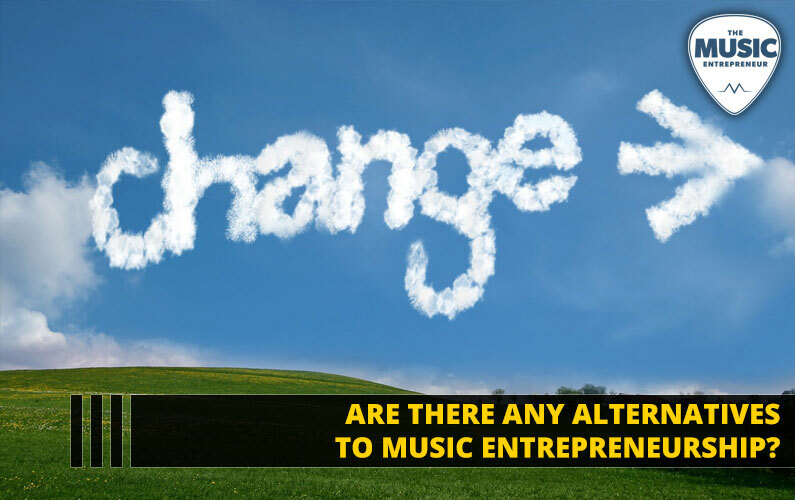 So, is it possible that music entrepreneurship is all there is? Is it possible that this will be the status quo in five, 10 or 20 years? 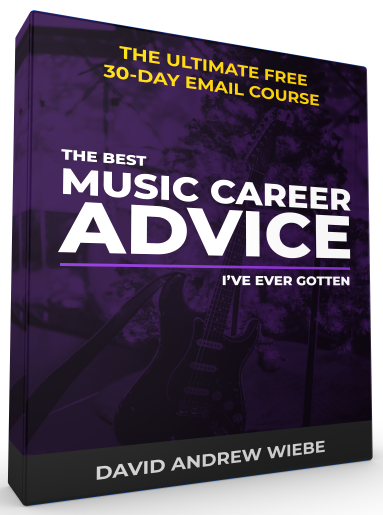 Unless you just want to make music as a hobby, then you should consider this possibility. You should try it on and see for yourself what’s there. Closing the back door and making a commitment to yourself can be incredibly freeing. Try it for yourself. See how it feels to only be holding onto one possibility instead of living in a world of infinite possibilities. Does it give you hope? Do you feel encouraged? 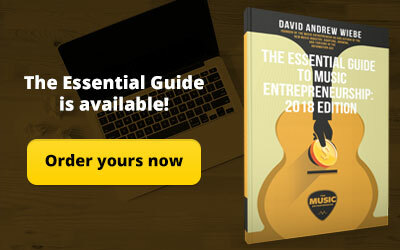 Well, as always, I’m not going to close this episode without prompting you to check out The Essential Guide to Music Entrepreneurship, specifically the Pro Packs, which will be going away on January 1, 2019. 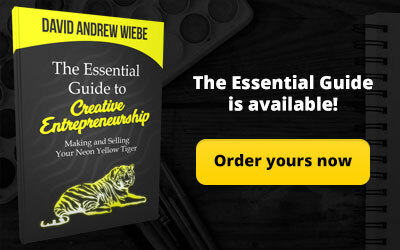 You can learn more at musicentrepreneurhq.com/essential. I hope you got something out of this, and I look forward to answering your comments in the show notes.